Keep cool at your desk, in your kitchen, or even in your car when you snap on the Air King Personal Clip Fan. This little 6 inch fan has a spring-loaded clip and easily attaches to just about any surface. 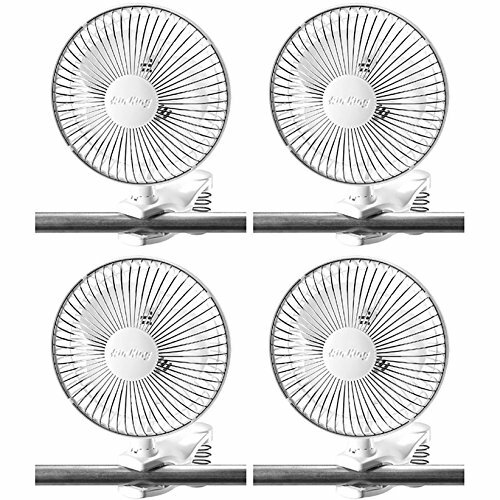 This package includes 4 fans. Only weighing a third of a pound, it's easy to take with you! It can be set to 2 different speeds, which is perfect for either a room that's a little warm or one that's downright sweltering. The front grill is zinc-plated, while the back is constructed with durable impact-resistant plastic. Take a little breeze with you when you take the Air King Personal Clip Fan.